An impressive line up of movies will be getting some (open) air time at the Botanic Gardens throughout November and December. Food, a bar, the gardens, and Top Gun. 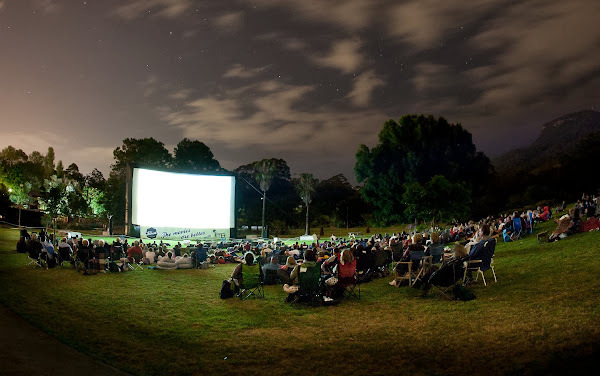 Kicking off summer, and back for their second season, the IMB Sunset Cinema is the perfect urban escape, located at the foot of Black Mountain in the heart of the National Botanic Gardens, one of Canberra’s most popular tourist attractions. Screening from the 15th November through to the 21st December, 4 nights per week, the IMB Sunset Cinema offers its guests an entertaining mix of blockbusters and cult classics, as well as live bands, beanbags, gourmet food and a fully licensed bar – it’s more than just a movie night, it’s a festival! Great type of event to have, but that film lineup really isn’t thrilling me.